The task this month? 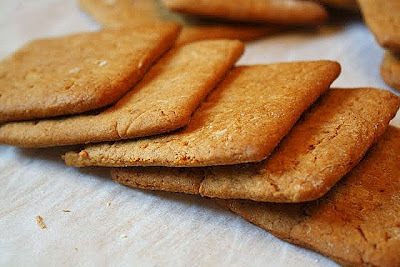 First, to make your own homemade graham crackers. 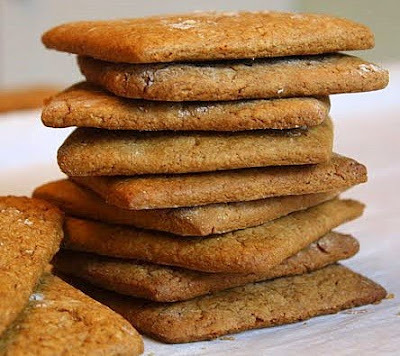 The suggestion was to make them gluten free, with the option to use all wheat flour if you preferred to do so; I chose the latter. 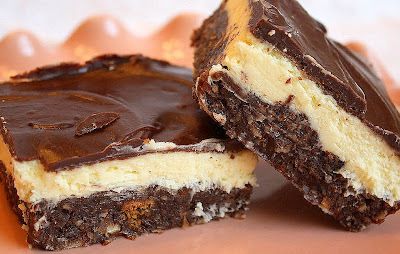 From there, the mandate was to use the crackers as one ingredient in the preparation of a sweet Canadian classic called Nanaimo Bars. 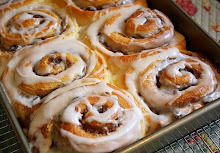 *All of the photos in this post are from my own baking experience, while the recipe comes right from the Daring Bakers website; the recipe is printed below just as it appears in that site, with no alteration or interference from Jane--I swear! 3. 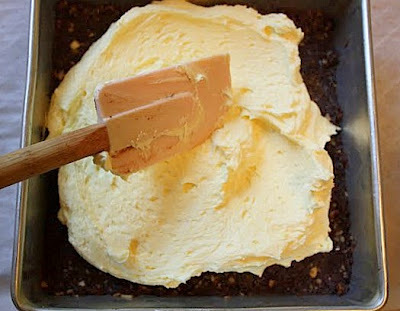 For Top Layer: Melt chocolate and unsalted butter over low heat. Cool. 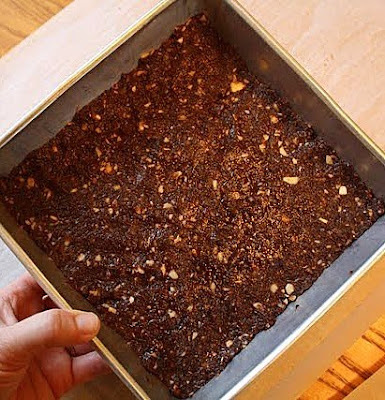 Once cool, pour over middle layer and chill." 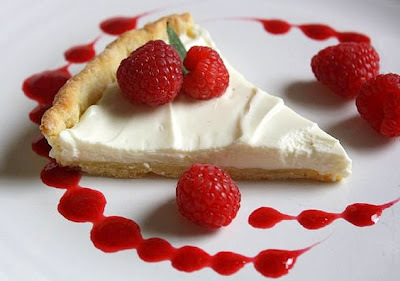 Not Just a Tart . 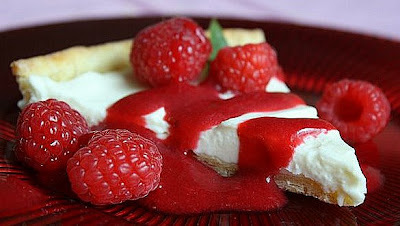 . . She's a Raspberry Honey Mascarpone Tart! Until one frosty morning last week, I had never purchased it. It's a bit out of my usual grocery price range, and a girl has to draw the line somewhere. 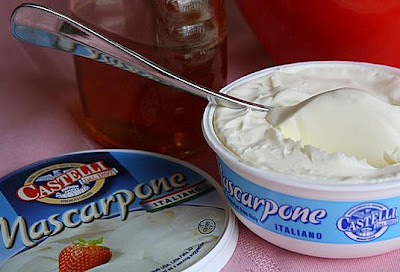 Start buying mascarpone cheese on a regular basis and before you know it you're dipping into your kid's piggy bank for spare change. It's a slippery slope. But you can't wait forever to procure interesting ingredients, especially if you're looking to expand your baking and pastry repertoire. Expenditure comes with the territory. And so, with the temporary mindset of a woman in possession of a much fatter wallet, I tossed the hefty little container in my shopping cart and foraged on. I wandered down the baking aisle. Enticing items beckoned their way into my basket . 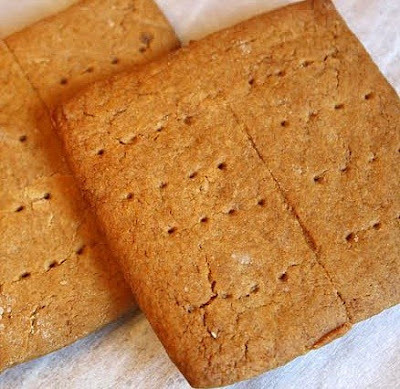 . . locally produced pastry flour, natural demarara cane sugar, imported instant yeast. All overpriced, but I bought them anyway. Once at home, I tucked my stash away like a squirrel who'd been ferreting acorns. Except for the mascarpone cheese, that is. I had plans for the mascarpone cheese. About those plans . . . 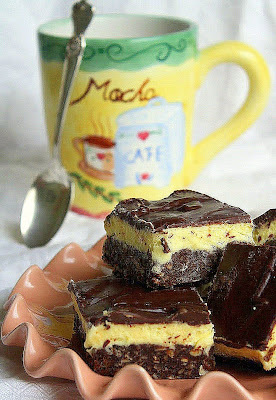 This recipe hails from A Passion for Desserts by pastry chef Emily Luchetti, a beautiful book. 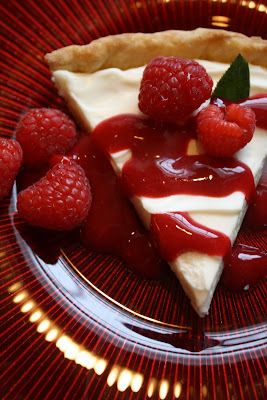 The only alteration I made included the addition of a tiny bit of Chambord, which is a sweet raspberry liqueur, to the raspberry sauce. And, since I didn't have several small individual tart pans, I used just two 8" tart pans instead. I also reworded the instructions to some extent. 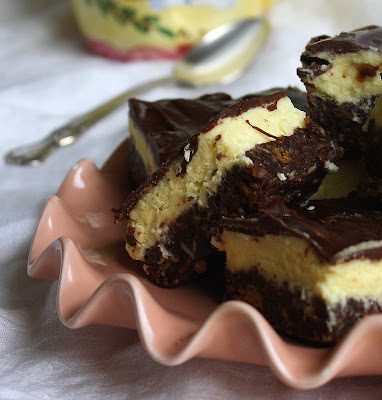 You'll love this simple tart. 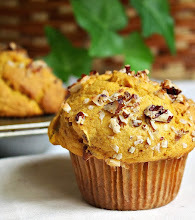 The filling is luscious, with perfectly balanced flavor. 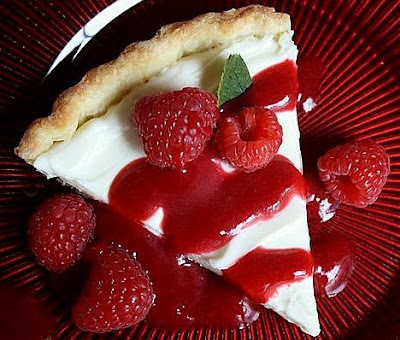 The pastry is buttery and flaky, but firm enough to hold up its end of the tart bargain, and the raspberry sauce is like summertime on your tongue. You can't go wrong. Makes either two 8" round tarts, or four 4" tarts. 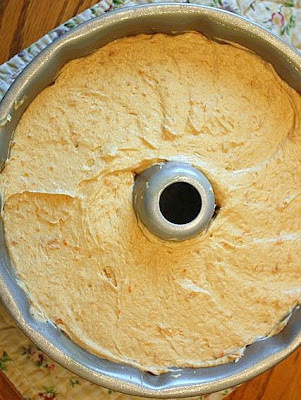 Dump the dough out of the bowl onto a sheet of plastic wrap. 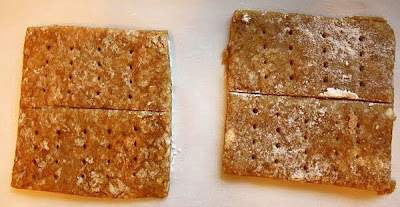 Shape it into a 5 to 6 inch disk, wrap it well, and refrigerate it for at least half an hour. 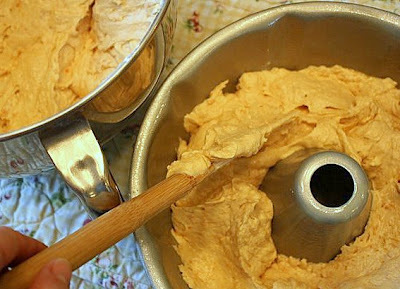 Roll out your dough, then lift it carefully and place it over your tart pans, pressing the dough gently against the sides. 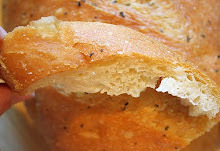 Trim off any excess dough cleanly at the top rim. 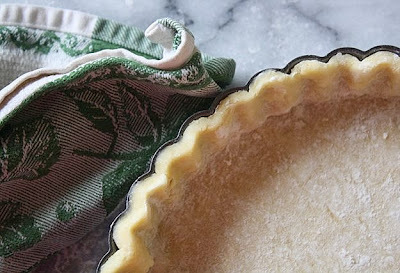 Cut out parchment circles--you'll need one for each pan--that are at least three inches larger than the tart pans themselves. Place the parchment circles in the pans, and fill them with weights (I used dry beans). 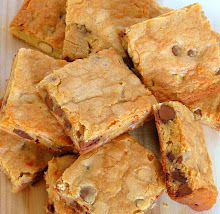 Place the weight-filled pans onto a cookie sheet and bake them in a 400 degree oven for about 20 minutes, just until the top edges start to turn golden brown but don't remove them from the oven yet. 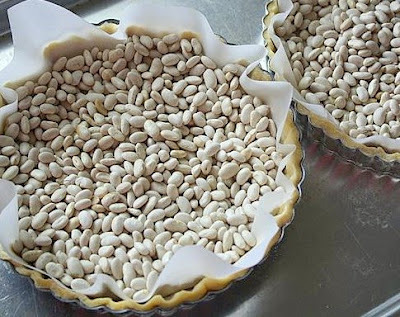 At that point, grasp the excess parchment above the pan rim, and using the paper as a handle, slowly lift the beans in the paper circles out of the tart shells and set them aside. 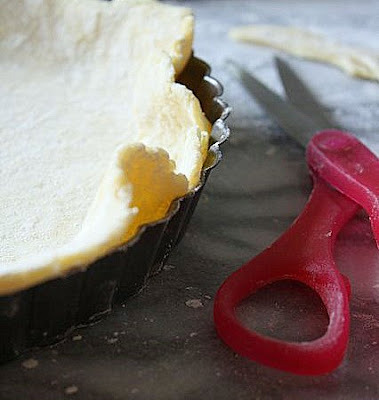 Continue baking the empty tart shells for about ten more minutes so the bottom crust can brown as well. 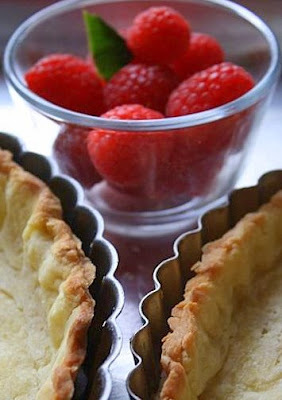 Remove them from the oven and let the tart shells cool in their pans, on a rack. They must be completely cooled before you fill them. 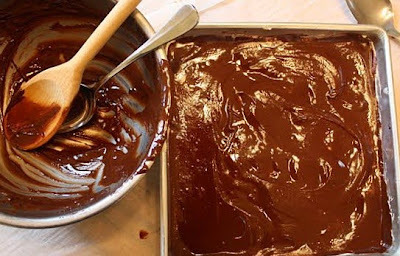 In a medium bowl, whisk together all ingredients until thick. 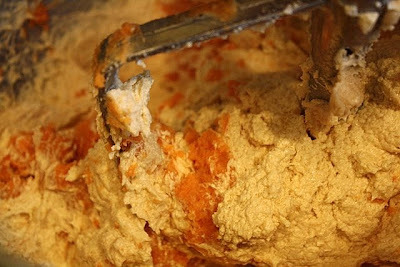 Keep this mixture covered and chilled until you're ready to spread it in your tart shells. 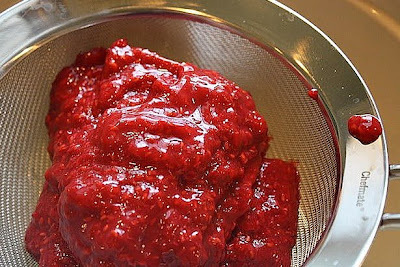 Puree the defrosted raspberries completely in a food processor. 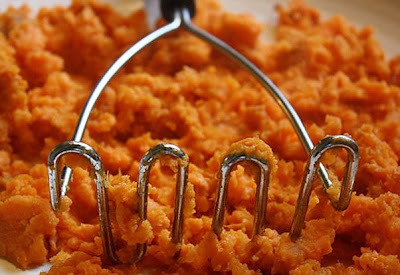 Strain the puree over a bowl with a fine mesh sieve to remove the seeds. 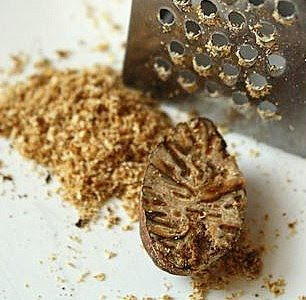 Discard the seeds. 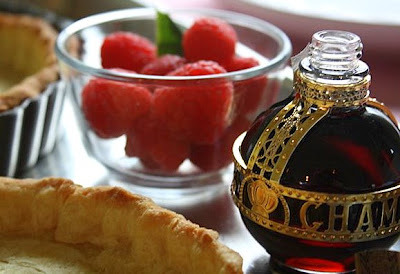 Stir in the sugar, and the liqueur if using. 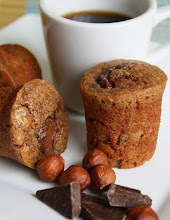 Taste for sweetness and add more sugar if needed. Keep this chilled until you're ready to serve the tarts. 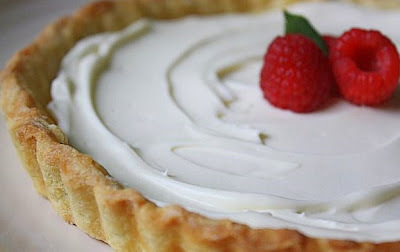 You'll need the baked tart shells, the chilled mascarpone cream, the raspberry sauce, and at least 6 oz. 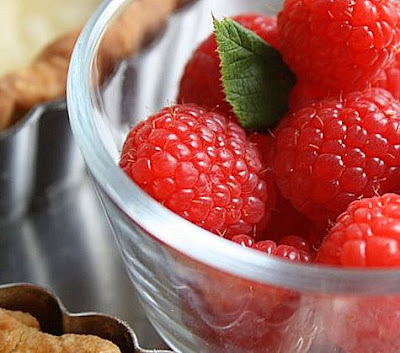 of whole, fresh raspberries. 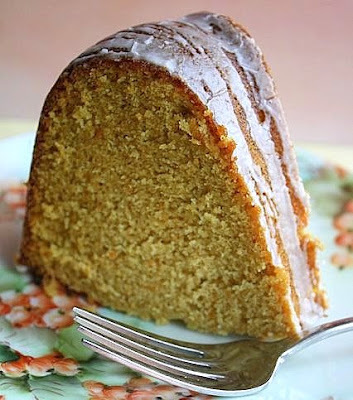 Winter Loves Sweet Potato Pound Cake with Cinnamon Cream Glaze . . .
Its very name is wintery, don't you think? 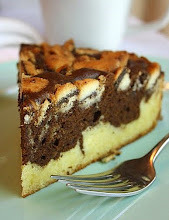 Though I'm sure I could easily be convinced to do so, at the moment I just can't picture myself biting into a piece of this cake in, say, the dog days of August, while the air conditioning is cranking away and all of the markets are brimming with fresh summer fruit. Some desserts seem to find their reason for existing only in the months ending in "er" or "ary" and clearly this is one of them. 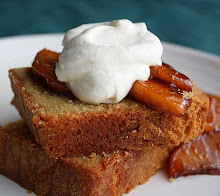 In prowling around our bookshelves and, ultimately, the internet in search of the perfect sweet potato pound cake recipe, I contemplated a few possibilities. 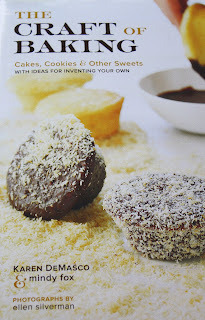 One promising candidate was from All Cakes Considered, by Melissa Gray. 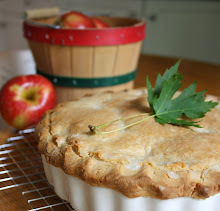 It looks great, but it contains apple pieces, nuts, and several spices. 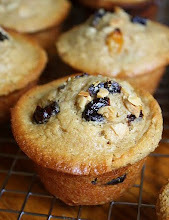 That all sounds tempting, but today I wanted to make something a little less fraught with competing flavors. 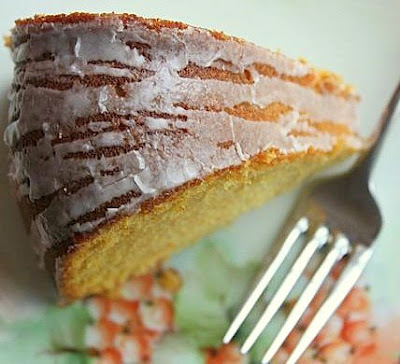 The two primary flavors in the cake that I did bake are simply sweet potato and fresh nutmeg, and the recipe that I settled on comes to us via Molly Wizenberg of Orangette. 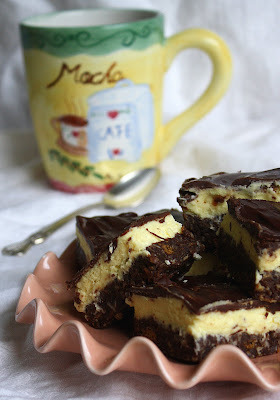 She adapted it from one that appears in the book Southern Cakes by Nancy McDermott. 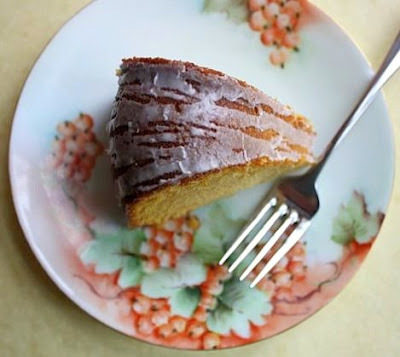 Molly's post about this cake appeared in her blog last winter in the fretful days just prior to the publication of her warm and funny memoir, A Homemade Life (see what I mean about it being a winter cake?). 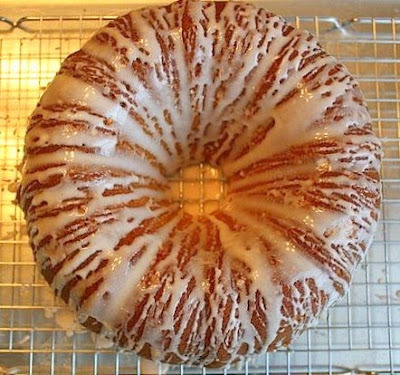 Molly used a buttermilk glaze that needs to be cooked, but I've omitted that in favor of a more basic cinnamon cream glaze that's just stirred together. 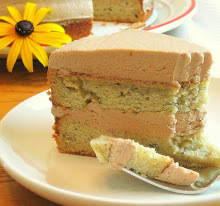 Of course, this is one of those cakes that doesn't really need adornment of any kind. Plain is good too. Sometimes plain is really, really good. Preheat the oven to 350 degrees. 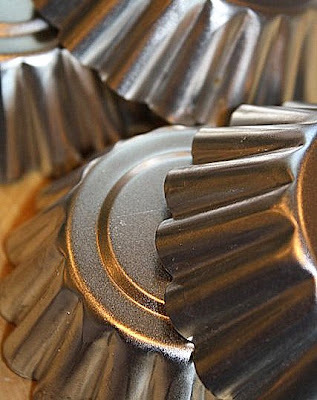 Spray a 10" tube or bundt pan with baking spray. 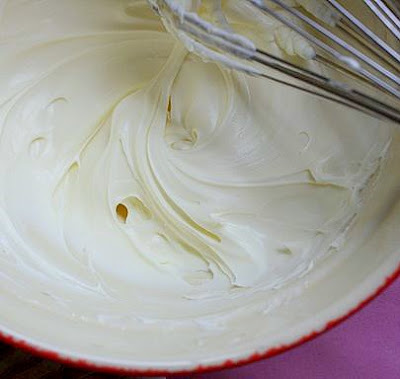 If you don't have baking spray, do a really thorough job of greasing and flouring. 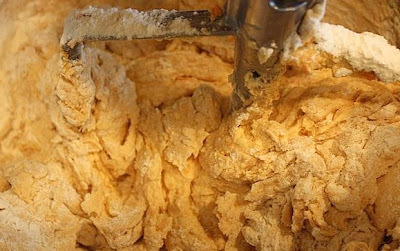 In a large mixer bowl, beat the butter, sugar, and light brown sugar until light and fluffy, stopping once or twice to scrape down the sides of the bowl. 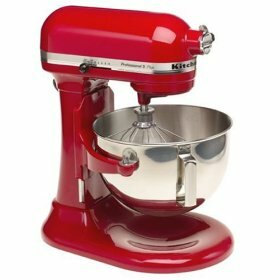 With the mixer on low speed, add half of the flour mixture. Beat to just incorporate. 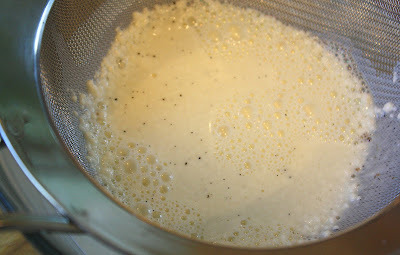 Then add half of the milk mixture, and continue to beat on low until well blended. 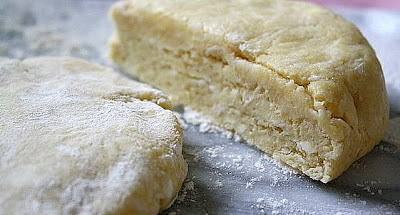 Add the remaining flour, followed by the remaining milk, and beat on low until the batter is thick and smooth. Scrape the batter into the prepared pan, and bake for 45 to 50 minutes (Note from Jane: Molly says "60 to 75 minutes," but my cake would have been badly overbaked if I'd left it in that long!) 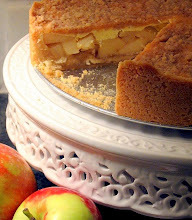 or until the cake springs back when pressed lightly and a toothpick inserted in the center comes out clean. 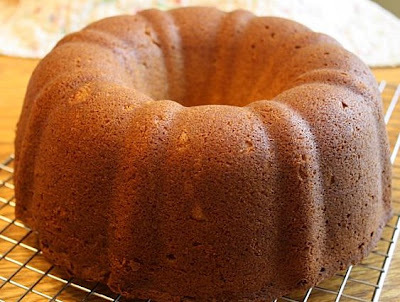 Cool the cake in the pan on a wire rack for 20 minutes. 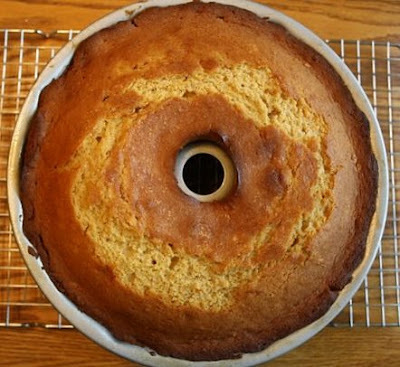 Run a thin knife around the edge to loosen the cake, and then carefully invert it onto the rack. Cool completely. 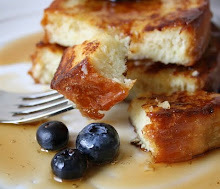 Combine the confectioner's sugar, half and half, and cinnamon in a small bowl. 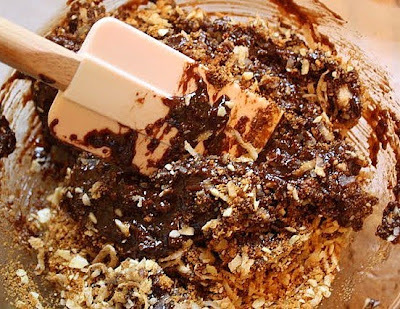 Stir, and keep stirring, until the sugar is completely absorbed and the glaze is completely smooth. 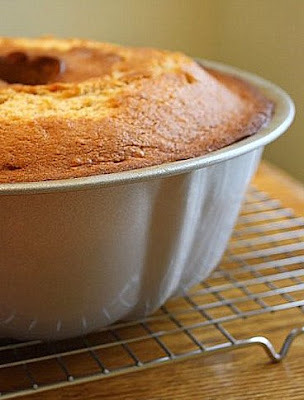 Set a wire rack, with the cake atop it, over a rimmed sheet pan. 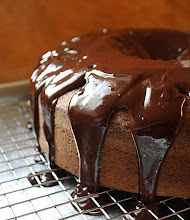 Drizzle the glaze over the cooled cake. Now slice a little piece, sit down, and take a bite. 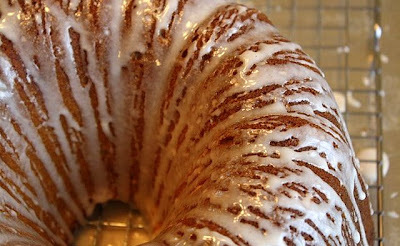 That's one groovy pound cake, isn't it? Vanilla has a reputation that is woefully undeserved. As an adjective, it connotes anything that's boring or bland, ubiquitous or common. And as an actual flavor, the vanilla naysayers have managed to get it all wrong. While it is true that vanilla has a long history serving as a selfless backdrop to a host of flamboyant and more colorful flavors, it is distinct in its own right, yet it gets little respect. It is much more than the pantry's universal donor. Considering where vanilla derives from and how it's readied for consumption, it is ironic in the extreme that such an exotic item has come to be viewed synonymously with "the everyday," for it is anything but. 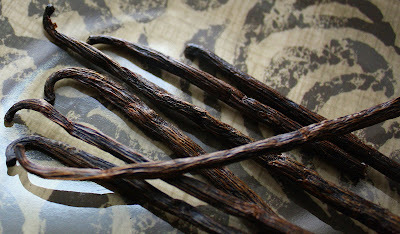 I recently had the good fortune to be the recipient of a lovely little package of twelve vanilla beans--six Madagascar and six Tahitian--sent to me gratis (thank you very much) from an intriguing purveyor of imported and specialty products called Marx Foods. 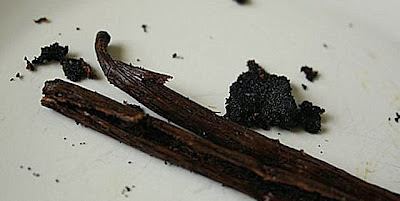 Because whole vanilla beans are relatively expensive for a typical home-baker like me, I don't use them as often as I'd like, so you can imagine my delight when I unsealed the manila envelope and discovered within it two narrow, securely sealed plastic packages, each carefully labeled and enclosing half a dozen beans. Allow me to wax rhapsodic for just a moment, please? 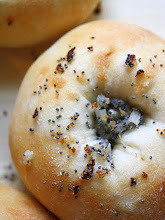 They were beautifully fragrant, ebony hued, slightly moist, and undeniably shriveled. Each one resembled a well-worn, miniature shepherd's hook. I sniffed, then inhaled deeply. I entered a vanilla reverie. It was a lot like love. But did you know . . . ? My advice to you, fellow bakers . 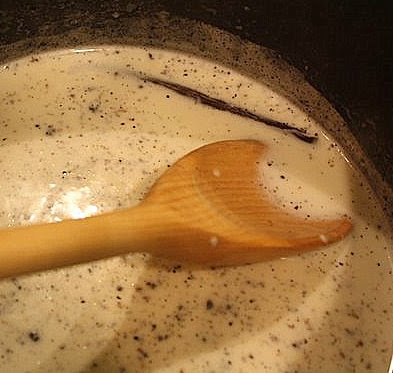 . . don't fear vanilla beans. And if you have some in your cupboard, let them out. Use them. They are a beautiful thing. On to the recipes . . . This panna cotta comes to us care of The Craft of Baking, by pastry chef Karen DeMasco (with Mindy Fox). 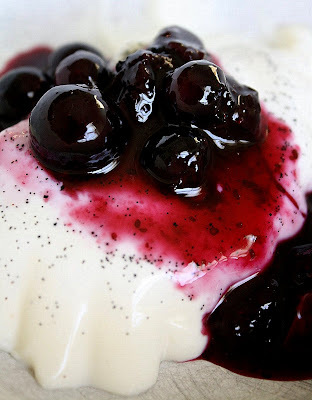 Her recipe is called Cream Cheese Panna Cotta. I decided to use vanilla beans instead of vanilla extract, and thus I altered the name, but that's the only change I made. 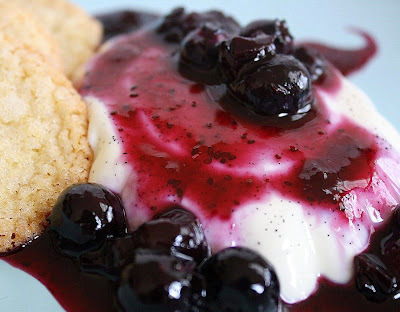 I also used her recipe for blueberry compote, and left that one intact except for halving it. The only concern I had with this panna cotta was that it could have been just a bit firmer. If I were to use this recipe again, I think I'd increase the amount of powdered gelatin ever so slightly, perhaps from the recommended 3/4 tsp. up to 1 full tsp. 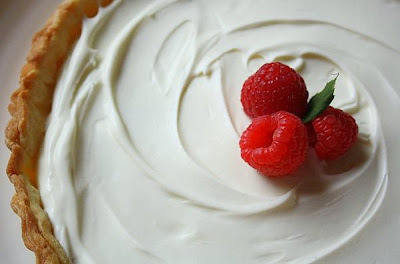 I suggest serving this with two or three, small, crispy, vanilla cookies, no larger than the traditional vanilla wafer you would buy in the grocery store (of course, you wouldn't serve those boxed wafers with this lovely panna cotta; you'd bake your own favorite little vanilla cookies). 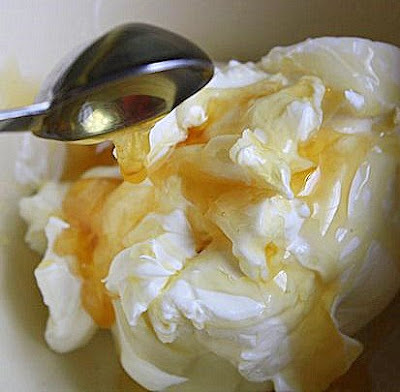 In a medium bowl, whisk together the gelatin and 2 Tbsp. cold water. 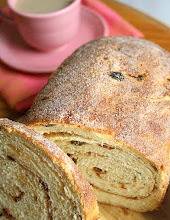 In a saucepan, bring the milk, cream, sugar, vanilla seeds, and empty bean to a boil. Remove the pan from the heat, and remove the empty bean. Whisk about one third of the hot milk mixture into the gelatin mixture. Then pour the gelatin mixture back into the remaining milk mixture, and whisk to combine. 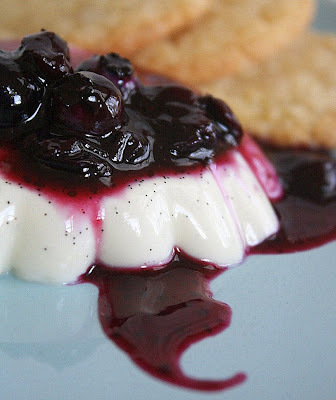 Once set the panna cotta can be kept loosely covered in the fridge for up to 2 days. 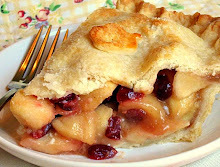 Serve topped with a fruit compote/sauce, or with fresh fruit. 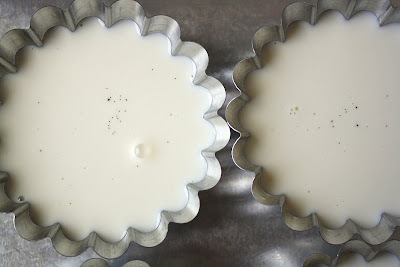 To unmold the panna cotta onto a plate, dip the bottoms of the cups/pans in hot water very briefly. Put half of the berries in a medium heat-proof bowl and set aside. 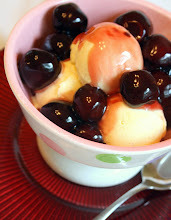 Combine the remaining berries, the sugar, and the lemon juice in a medium saucepan. 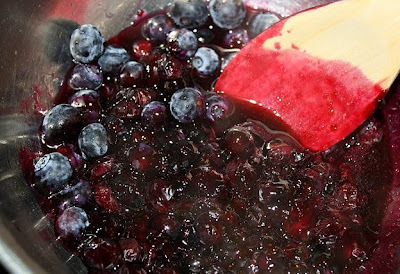 Bring to a simmer over medium-high heat and cook, stirring frequently, until the berries release their juice, 5 minutes or so. Increase the heat to high, bring the mixture to a boil, and cook, whisking frequently, until the compote has thickened a bit, about 2 minutes or more. Pour it over the uncooked berries, and using a rubber spatula, gently fold together. 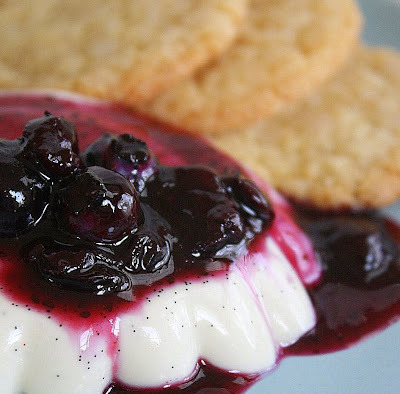 Serve chilled, with the panna cotta. This compote will keep in the fridge for up to 3 days. 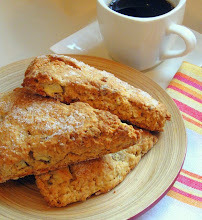 Honey & Lemon Oat Scones . . .